Interactive training module designed to increase end-user understanding of regulations on handling the personal data of EU residents through detailed, actionable items. PITTSBURGH, May 21, 2018 – Wombat Security (Wombat), a division of Proofpoint and the leading provider of cyber security awareness training, today announced the launch of its second interactive training module related to the General Data Protection Regulation (GDPR). The GDPR in Action module will help organizations better educate employees about the management of EU residents’ private data leading up to and following the May 25, 2018, GDPR enforcement date. The launch of the GDPR will reshape data privacy management on a global scale, and technology alone isn’t enough to ensure compliance. Because organizations and their Data Protection Officers will be relying on employees to properly protect the sensitive data of EU residents, awareness and training efforts are essential to preparedness. Despite the looming enforcement date, Wombat’s 2018 Beyond the Phish® Report revealed that protecting confidential information remains the No. 1 problem for end users. 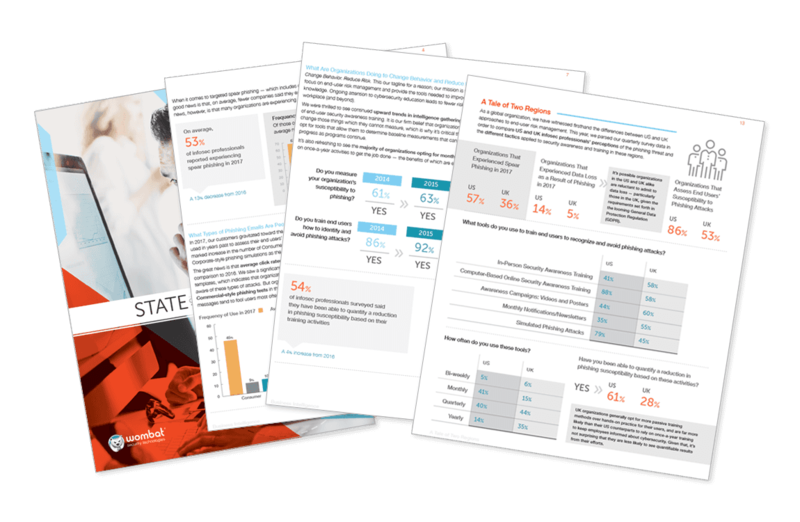 In analyzing its assessment and training data for this report, Wombat found that employees incorrectly answered 25% of questions about the GDPR and other compliance-related topics. The new GDPR in Action module will help minimize an organization’s risk of non-compliance with the regulation by making end users aware of what type of information is protected under the GDPR and giving actionable advice on how to handle EU residents’ personal data. GDPR in Action complements Wombat’s existing GDPR Overview module by offering deeper, more action-oriented scenarios that challenge users to think about how the new regulation affects their day-to-day business activities. Explores concepts central to the GDPR and how they affect organizations that hold and manage data of EU residents. Teaches end users what is considered personal data and how it can show up in unexpected places. Leverages scenario-based training to give end users thought-provoking situations to evaluate, and provides real-time feedback on their decisions. In addition to the release of GDPR in Action, Wombat has also updated its existing module, GDPR Overview, to reflect the most recent interpretations of the GDPR. The GDPR Overview module provides an introduction to the regulation and the concept of data privacy, and end users will learn why they need to be active participants in overall GDPR compliance.